Published: Dec. 8, 2017 at 02:35 p.m. Updated: Dec. 8, 2017 at 02:43 p.m.
For the final time in 2017, the calendar flips over. Three weeks separate you from fake football glory. the finish line is in sight. Early in the season, the end of the tunnel was merely a pinhole of light. Now it's grown. Is it the other side ... or an oncoming train? Let the Stock Watch shepherd you to safety. At this point in the season, I'm giving myself credit for motivating the Jets to do big things in fantasy football this year. Josh McCown has been chief among those overachievers (he's the QB7?!) heading into the fantasy playoffs. 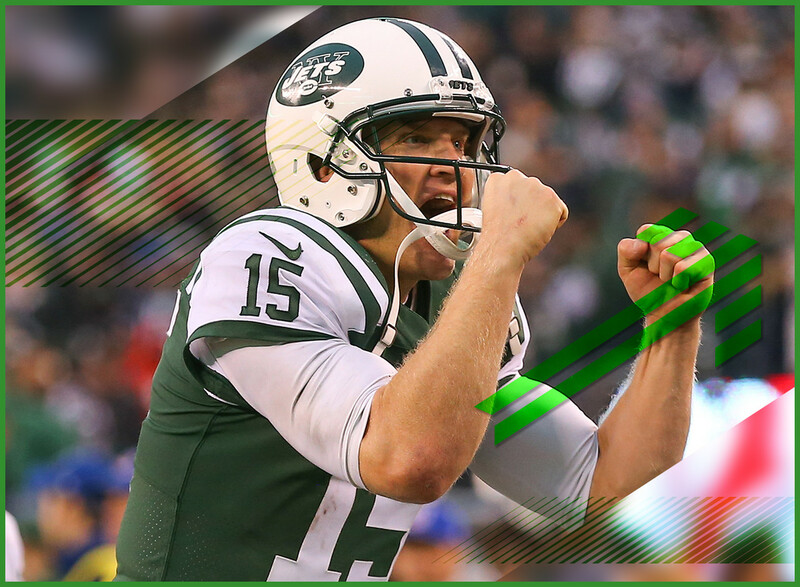 He's played so well that head coach Todd Bowles has named McCown the starter for the rest of the season. That means no more debate over whether we'll see Bryce Petty or Christian Hackenberg. It's a long overdue move. But better late than never. Remember those few weeks when Will Fulle rscored a touchdown ever other time he touched the ball. Those were the days. Fuller's been out of action for a bit with injured ribs but it appears that he's close to coming back, potentially for this week's game against the 49ers. Too bad he'll be catching passes from Tom Savage and not Deshaun Watson. Life's unfair like that sometimes. Two weeks ago, Mixon has the best game of his young career. Last week, he left the game early with a concussion. This week that concussion is threatening to keep him out of Sunday's contest against the Bears. The matchup wasn't a particularly great one and it looks even worse when you pair it with an underwhelming running back behind a poor offensive line. Good luck, Giovani Bernard. In the NFL we rarely get to see great players gradually decline until they ride off into the sunset. Usually the end comes swiftly and shockingly. I'm not saying that this is the last we've seen of Adrian Peterson on an NFL field but it certainly has been the type of swift and shocking decline that we've seen before with older players. Peterson missed last week's contest with a neck injury and things have not progressed in a great fashion so far this week. 2017 A.D. has been a lost season for A.D.
Kelvin Benjamin is coming back. At least it looks that way. That's positive news. After missing the past couple of weeks with a balky knee, the big receiver appears on track to get back to action. The downside is ... well, the Bills haven't offered much of a passing attack this season. Plus Benjamin has yet to give a consistently convincing performance as a WR1 so far in his career. The matchup is a good one against Indianapolis this week but unless you're out of options, it's not one I'd recommend fooling with in a playoff matchup. The Steelers had some bad Juju last week (sorry not sorry) so it opens the door once again for Martavis Bryant to take on a larger role in the passing game. Two weeks ago when Smith-Schuster was forced to sit with a hamstring injury, Bryant had one of his better fantasy games of the season. That could be on tap again this week against the Ravens. Though it's also fair to mention that the last time Smith-Schuster was out, Le'Veon Bell was peppered with 14 targets. The season is over for C.J. Fiedorowicz. The Texans lost their starting tight end for the remainder of the season due to concussion issues. Next up on the depth chart is Anderson, who caught five passes for 79 yards and a score in Week 13. He'll become the pass-catching tight end of choice in Houston and has a pretty tasty matchup with San Francisco coming this week. If you're down a Gronk in your lineup, this could be a nice streaming choice. What is it with the Bills and wide receivers this season? Kelvin Benjamin is returning after missing time with an injury. Jordan Matthews won't be so fortunate. Matthews' first season in Buffalo will end prematurely after a lingering knee injury landed him on injured reserve. His inaugural season with the Bills ends with just 25 receptions, 282 yards and one touchdown in 10 games. Hopefully 2018 offers greater tidings. Williams looks to miss yet another week as he deals with a dislocated left shoulder. Last week without Williams in the backfield to take touches, Kenyan Drake had a field day. Things are once again set up for Drake to dominate the backfield opportunities this week against the Patriots. When Williams returns is still unclear. Even more uncertain is whether he'll have a job -- either in the Dolphins real backfield or your fantasy one. Eli's back as the Giants starter. That's the news. Whether it's good or bad is up to you to decide. Technically, it's a positive since starters are generally more effective (fantasy-wise) than backups. But let's be honest ... this version of Eli hasn't inspired anything resembling confidence in weeks now. Maybe you think this makes Evan Engram and Sterling Shepart better options. You might be right. Either way, you're not starting Eli. But hey, at least he's starting again. Hooray?